The guest house Concordia is surrounded by a pleasant Italian atmosphere. Its white walls and pastel colours characterize its porticoes, and the garden, with its green leaves and the orange trees have turned this place in a paradise of calm and serenity; all this marked by simplicity: the warm welcome, the tranquillity and the friendly reception of its guests. Our guest house Concordia offers several gathering corners, allowing contacts and exchanges for the guests who want to use them. We value our clients' comfort and satisfaction highly; this is why we try to meet the needs at the best of our abilities, with the goal to offer a real holiday to all. Our prices are the expression of our philosophy and contribute to reaching this goal: make your holiday as pleasant as it can be to the last minute. The house has twelve rooms and two large dormitories. 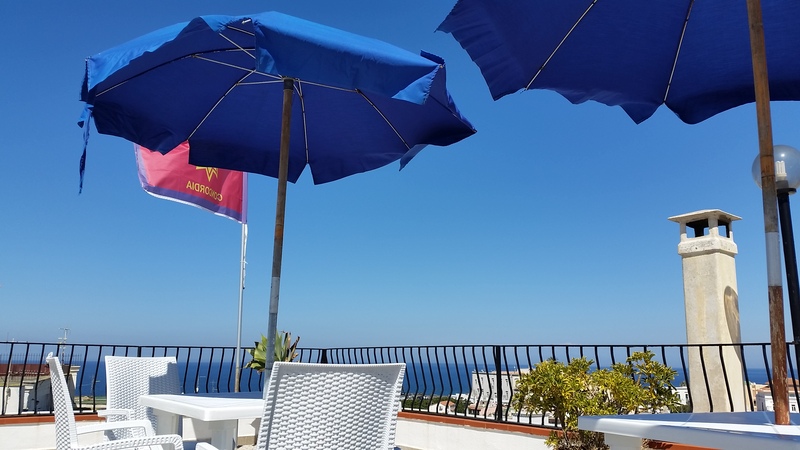 It does not matter if you are an early bird or a night owl, you will be able to admire the sunrise or the sunset from our large roof terrace, enjoy the view over the sea or the majesty of Mount Epomeo. If you prefer, instead, to rest inside, the TV and reading room will be what you look for. 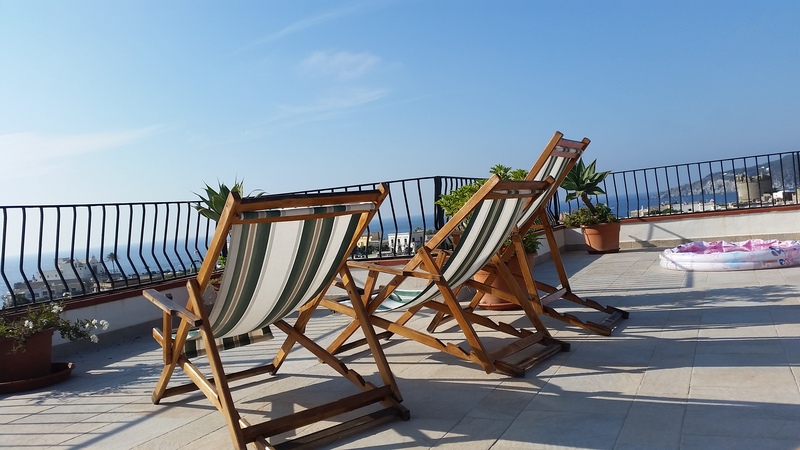 Tables and chairs are to be found everywhere in the house for you to eat in the open, chat or simply sunbathe. Groups are also welcome and will be able to use our conference room, as well as our community kitchen and our dining rooms.